Edwyn Collins has revealed that his new album will be called 'Understated' and it features contributions from Richard Hawley. The record, which consists of 11 new songs includes two tracks that were co-written with Hawley. It is now nearing completion and is expected to be released in January. The singer, who suffered a stroke in 2005 told 6 Music News that he is also the subject of a new film which is being produced by Pulse Films, who made Blur's No Distance Left To Run and the recent LCD Soundsystem film Shut Up & Play The Hits. The film is called In 'Your Voice, In You Heart' and it is being directed by James Hall and Ed Lovelace. 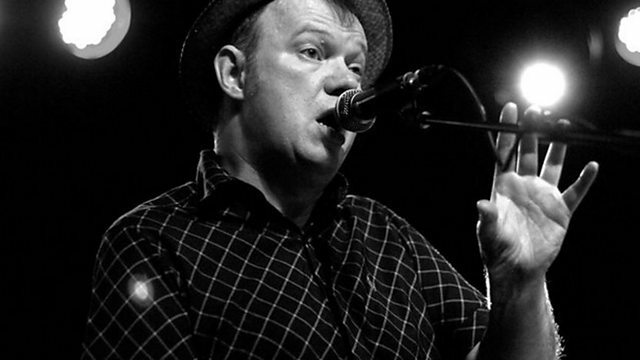 Edwyn Collins told 6 Music's Elizabeth Alker more about these two projects.